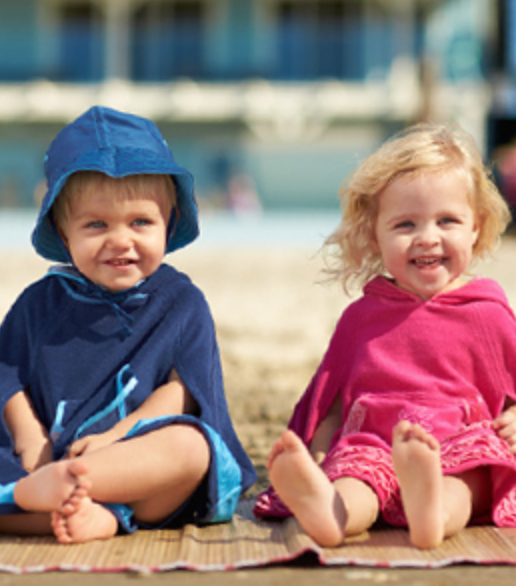 The choice of SPF child clothing allows you to protect your children when outdoors in the sunshine. It is an option that is becoming increasingly popular with those people who love the outdoors and wish to include their young children as much as possible in their outdoor activities. Besides clothing with protection, a non-toxic, zinc-oxide only based sunscreen, adds to their protection. Embracing the sunshine safely also allows for some Vitamin D creation. When it comes to protecting ourselves from the sun's harmful UV rays, most of us are pretty diligent about making sure we protect our precious children with such things as sunscreen. When choosing a sunscreen, the SPF (Sun Protection Factor) is usually a key guiding line and one that most of us know all about. The other important choice factor for sunscreen is the UVA protection, which is most often overlooked and is as important, if not more important, than just the SPF. What many of us do not know much about, is the fact that there are certain materials that contain both UVA and UVB protection and that they are great alternatives, or additions, to sun protection. Young children, especially those under 6 months old, have sensitive skin and are very much more prone to sun damage than adults are. Especially when exposed to the sun without any added sun protection. Young skin is thinner and not yet robust enough, as compared with a matured skin. This means that any skin damage that occurs is not just sore, it can be very harmful and even potentially fatal. Educating yourselves and your children about sensible sun care habits is vital, but shouldn't stop at the use of sunscreens. The SPF materials are made of a tightly woven knit, which physically prevents ultraviolet rays from penetrating through the fabric and onto your child's skin. There is a similar action to the physical sunscreens, as opposed to the chemical sunscreens and as such is far more appealing than the chemical sunscreen options out there. Even though tightly woven, the fabric is also lightweight and breathes well, so is wonderfully light, cool and practical to wear. This makes it a whole lot easier to persuade your child to wear clothes when outdoors when their natural instinct is to wear nothing at all. The measurement for sun protective clothing is known as an Ultraviolet Protection Factor (UPF). UPF is like the Sun Protective Factor (SPF) used with sunscreens, in that both UPF and SPF measure against sunburn protection. However, there is key differentiator in the UPF in that it measures both UVA and UVB radiation protection, whereas SPF is a measurement of UVB radiation protection only. Lastly, bright colors enable spotting your child much easier in the crowds! 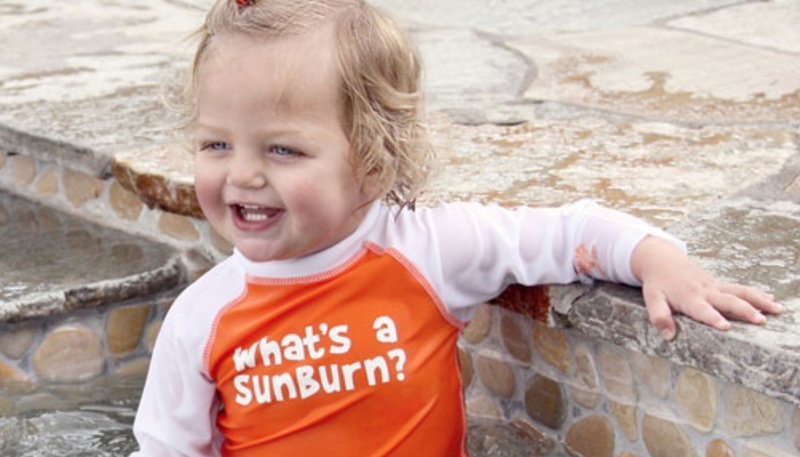 Starting with babies, there are one-piece baby UV swimsuits with zippered fronts, and baby swim shirts that can be matched with swim leggings or board shorts. Some suits have snaps at the crotch. There are also infant bathing suits with matching swim shirts and sun hats. Hats range from wide rimmed, to those with extra protection flaps down the back of the neck. For those not yet potty trained, there are swim diaper shorts. 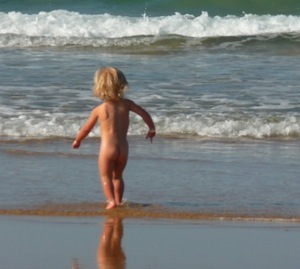 Kids sun protection clothing includes extensive ranges of colorful UV swimwear and one-piece sun suits. There are short sleeves or long sleeves, matching short, knee-length or long pants, or leggings. You can pair a swim shirt with sun protective swim shorts, board shorts or swim tights for boys and girls. All styles are usually chlorine resistant and offer SPF/UPF 50+ sun protection. Used as a stroller cover, as a beach blanket or at the pool for a little extra warmth. Usually made with a soft fabric like Lycra, they have a high UPF rating of UPF 50+. Sunglasses are being made especially for children from 0-6 years. Usually specifically created and tested by leading names in the sunglasses world, they aim to provide 100% protection from the sun's UVA & UVB rays and provide protection for children's sensitive eyes. Some sunglasses provide elements such as polycarbonate frames and lenses, which provide a shatterproof quality, which can be reassuring when you have very active children, as most tend to be! Some sunglasses even provide adjustable velcro to allow for growth in your child, which can be rapid let's face it! From coveralls, shorts and shirts to swimwear, you'll be able to build your own SPF child clothing wardrobe for those sunny days.